Recent weather has made lifting seedlings very difficult this season. New POSTS continue to be made by growers and forest landowners. Still looking? BAP Equipment Ltd our newest Banner Subscription Vendor. BAP sells a full Line of seedling planting equipment as well as the Pottiputki. 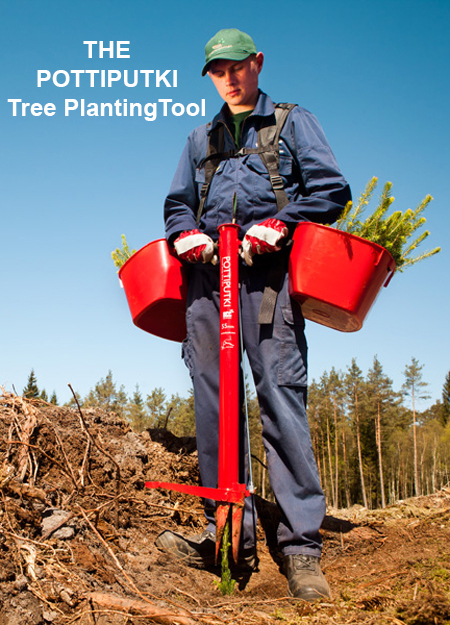 The Pottiputki is the fastest most ergonomic planting tool on the market today. Available at BAP Equipment Ltd. Click on the link below for complete details. FSN appreciates the support of our Subscription Vendors!